Serving the Pocatello area since 1958. It’s April and spring cleaning time! While you’re preparing for the spring and summer weather, don’t forget about your plumbing. The weather in Pocatello, ID, can be brutal during the winter months and the snow and freezing cold temperatures can do a lot of damage to pipes & hoses. For your convenience, we have put together a spring plumbing checklist for you. No need to worry about surprise costly repairs to your plumbing system this summer. With this checklist, anything that needs attention will be found and you’ll be ready beforehand. Sprinkler System – The sprinkler system is an obvious plumbing system that is going to need attention. Look for leaks and cracks. The cold weather is hard on outdoor pipes and you want to make sure yours are going to be reliable for the upcoming seasons. Garden Hoses – Garden hoses split easily when they freeze. Check all hoses for damage and loose connections. 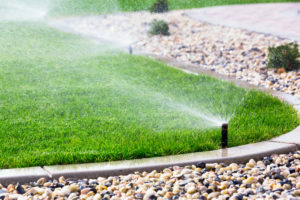 It might seem like a waste of money to have to buy new hoses over small cracks or splits, but it will save money on your water bill in the long run. Also, remove any insulation that was placed over faucet covers or anywhere else for protection. Inspect those pieces of equipment as well. Gutters & Drains – Don’t overlook your gutters and drains. Clogged drains can cause a lot of damage if left untouched. Crowded gutters can, too. Take one extra step with your spring cleaning and make sure both are cleaned out and working well. Next, we’ll peek inside the house. Dishwasher and Washing Machine – How are both running? Have you noticed any leaks? Are they both draining correctly? Dishwashers often get clogged holes in the drain and the sprayer arm so be sure to attend to those. Washing machines might need to be balanced and have the hoses inspected for any damage. Water Heater – Water heaters should be drained and flushed annually so springtime is a perfect time to do that. If you don’t know how to do it, consult a professional so they can help you. Don’t forget to check the temperature while you’re at it! Leaks – Look for leaks everywhere! Make this a routine thing, not just a part of spring cleaning. Basements and attics should be checked. Research a little about water damaged ceilings, walls, and floors. This could help you find any leaky pipes that need to be repaired and save you from a much bigger and expensive problem in the future. If you aren’t certain about something that looks like it could be a potential problem, call a professional. Barlows Aire Force One in Pocatello, ID, has a lot of helpful information and educated people that can resolve problems quickly. Hosted by Rave Communications, Inc.